Peter Dornan has been practising Physiotherapy for fifty years. 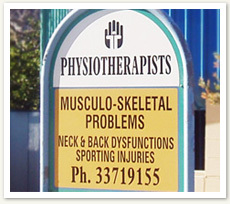 The practice at its current location in Morley Street, Toowong, opened in 1985 and has grown from a strong sports physiotherapy base. We have offered Physiotherapy services to the community. Our health care experience has been expanding with the growth of the practice and we look forward to continuing to grow in response to our patients needs. Our specially designed premises have proven particularly efficient for our kind of rehabilitation programs. As well as private consultation rooms, there is a 60 square metre gymnasium incorporating isotonic and isometric exercise equipment to aid in the assessing and total rehabilitation of soft tissue injury.